In a two part post Carmi explains how she made a vintage piece of trim a necklace component by encasing it in resin. While waiting on spring to arrive, how about entering to win a surprise bead giveaway? Stop by A Bead A Day! Yers, it is possible to craft a seed bead career. Find out how this designer did it. Erin picks out some inspiring finds on Etsy for this month's Art Bead Scene Challenge. You wouldn't think that quilling and fish leather would go together...but they do and create the loveliest flower rings! Epic Indie Book Fair of Awesome! 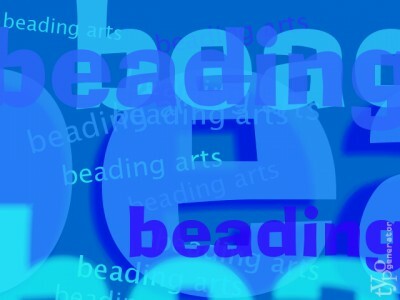 Celebrate "Seed Bead Month" with Beading Arts!